A special two-guest podcast episode starting with Chad Schofield, the champion apprentice of New South Wales and Victoria. 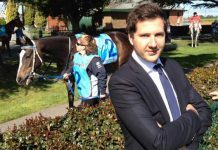 Chad’s got some great insights into race day preparation, track bias and his first Cox Plate ride. Then we have Greg Conroy who is the Founder and Managing Director of RewardBet which is some free software that can help you get better returns from exotic betting like quinellas, exactas and trifectas. He shares some knowledge about why exotics should be a key part of your punting activities. How Chad prepares for race day and Saturday’s Cox Plate. At what point in the day that track bias should be taken into consideration. The most important asset to a good jockey. Why the every day punter makes the same mistake betting the exotics. How to take advantage of all of the available market information. The primary ways RewardBet can help you make better decisions. David: Hi this is David Duffield, and welcome to another episode of the Betting 360 podcast. Got a couple of special guests today. Chad Schofield, champion apprentice of NSW and Victoria, and has his first ride in the Cox Plate this Saturday. And also Greg Conroy, the director and founder, managing director I should say, and founder of RewardBet. Where there’s some pretty good software to help you to be a lot smarter, and hopefully a lot more successful in the way you go about your exotic bets. So let’s have a chat with Chad and then Greg. David: I’d like to welcome Chad Schofield to the show. How are you today Chad? Chad: Yeah I’m very well thank you. David: That’s good. Pretty exciting week for you, you’ve a got ride on Shamus Award in the Cox Plate on Saturday. Chad: Yeah I’m thrilled to have been given the opportunity by Danny O’Brien and his owners. Obviously the horse has 49 and a half, which limits a lot of jockeys, but fortunately for me I can ride that weight comfortably. And as I said I’m thrilled to be in touch with a big prestigious race, and I’m really looking forward to Saturday. David: And what can you tell us about the horse? I know it’s fairly early in the week that we’re chatting. But have you got any plans as far as where you’d like to be in the run? Chad: I haven’t ridden the horse yet, but I’m going to go ride him tomorrow morning, and I’m looking forward to having a feel of him for the first time. And obviously it’s pretty early in the week, I haven’t had a good look at the race. But just having a quick glance, it appears to be a lack of tempo in the race. I’m on a young fit horse with no weight on his back, drawn a perfect barrier so, I’ll have to go through the race with the connections of the horse, and we’ll come up with a tactic that best can suit our chances. David: So how do you prepare for a meeting in terms of speed maps, doing the form, and then assessing the track conditions on the day? Chad: Yep, obviously I do all my own form and speed maps. I like to sit down the night before, and go through the replays and do the form. So I’m looking forward to getting stuck into it. David: And how does that normally take? so you’re watching the replays, you’re actually going through a fair way back into your horses form to see where it’s performed best. What’s the process of having a plan for the race? Chad: Yeah obviously I watch all the replays. 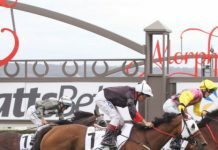 I pick up on any pattern the horse has maybe going, and you know it’s data with Vince Accardi, and a bit of planning and that involved, but it’s an aspect of it that I enjoy doing. David: And so what’s your use of say the Vince Accardi stuff, is someone that we work closely, and we’ve heard Mark Van Triet, your manager on the line before. But how does a jockey use that kind of information? Chad: Vince just sort of gives me a rough idea of the horses ability to perform sectional times, and what stage of the race he’s strong at. so yeah as I said, he gives me a good idea about my horses abilities, and most of the time fills me with confidence about my ride. David: And then on the, I suppose throughout the afternoon you can have a plan for that horse and for the race. But throughout the afternoon that can change if there’s any kind of track bias. How early do you take notice of that? I mean we spoke with Michael Rodd a month or two ago, and he thinks that can be exaggerated at times, what’s your take on it? Chad: Yep. Moonee Valley’s obviously is a tricky track, but I have to pay close attention to the early races, and see if there’s a pattern forming or bias, and go from there. David: Okay. And what do you think it takes to be a good jockey? what are the main things that you learned from your father, who’s obviously had plenty of success in his own right. Chad: Yes certainly. I think the most important asset to a jockey is the ability to read a race. It’s all well and good you having a few plans in your head, but when the barriers open a lot can change. And you’ve got to be able to make quick decisions, and the right decisions. Also it comes down to your horsemanship skills, and getting the horse to relax, and perform to its best ability of course. David: So what are you focusing on right now to improve? obviously you’ve had plenty of success at such a young age, but what are you most focusing on at the moment? Chad: Yeah. Obviously as you said I’m still very young, and I’ve still got a long way to go, a lot of improvement. But probably the most important thing I need to improve is maybe my strength. I feel because I do a lot of homework, I’m comfortable in knowing my dangers in a race, and tactical side of things. So it’s mainly sort of strength, and just experience mainly. David: And strength is something that comes with age? or you actually mean you’ve got to lift some weight in the gym? Chad: Yeah I think a bit of both. David: Okay. What do you enjoy most about being a jockey? Chad: It’s a job I love and enjoy doing. I love being with horses, and then I love riding them, and I love being at the races. I’m sure there will be no better atmosphere than I’ll experience when I walk out … for the Cox Plate. David: And is it just as challenging to ride a country meeting mid-week, as it would be in a big race like that? or is there, you think they’d be a fair bit of pressure that goes with it as well. Chad: Pressure doesn’t really get to me all that much, obviously there’s high stakes and that. But one thing my Dad always told me is a race is a race. You’ve got a horse, you’ve got a winning post, and you’ve got a … And that’s something I’ll keep in mind, and I’ll just go out there and enjoy the experience. David: That’s a nice way of looking at it, and really keeping it simple. So thanks for joining us today Chad, and all the best for Saturday. David: Hi Greg welcome to the show. Greg: Hi David, thanks for having me on. David: Yeah good to have you on. We’ve done a longer form webinar in the past, but I just thought it’d be worth getting you on, for an overview for people that didn’t catch that. And you could run us through a bit about exotic betting, and then obviously where RewardBet fits in. A lot of punters that I talk to are still pretty much win bettors, obviously some do use BetFair, and do a few exotic bets at times as well. 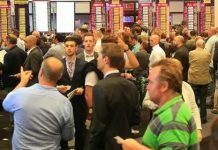 But what do you think of the positives of exotic betting, and why the everyday punter should embrace it a little bit more? Greg: Look it’s a good question. I guess since we did do the webinar we’ve had hundreds of people join up RewardBet. And we do get that sort of feedback still coming through, where people are set in their ways, and they’re still trying to work out there punting pathway. It’s very easy just to place win bets on all your races. But it’s becoming more and more difficult for a lot of people to get set on their win bets. And we’ve heard obviously a lot about people getting reduced amounts on, and you know at the end of the day the punting’s all about trying to get an edge, and also moving with the times. And as we’ve spoken about before, RewardBet has quite a few professional punters using it, and also the novice punter. And I think it’s because there is so much extra value in the exotic market, that you really can’t ignore them. You have to solidly look at exotics as another option to your punting armoury. And the issue really has been that the opportunity to bet exotics, for a lot of customers has been almost a side effort. It’s been a little bit difficult, and it’s mainly because of the alternatives which are out there. Which is you know essentially just doing your box, and your flexi betting through the websites like the corporates, and the TABs, or else even in a TAB shop. And I think a lot of people have been a little bit turned off by the lack of opportunity they have, and even if they’re aware that the way they’re betting using box betting is an inefficient way of doing it, they didn’t really have any other alternative. And it has been, really only since RewardBet’s come around, that there is an alternative. 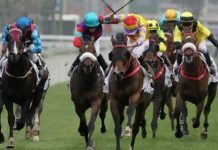 The opportunity to exploit the last minute movements in prices, which you can now see through Dynamic Race Odds, they talk about TVN, and all the market movers which come through. You know normally you’d think, hey the only opportunity I’ve got to exploit that last minute information is to place a win bet, but that’s not the case anymore. In fact a lot of people are channelling in on the win price changes, and they’re not betting those same market movers, you might say is through the exotic markets. And you know look our product RewardBet, where you can literally put all your exotic bets on for a race in seriously 4 or 5 seconds, Allows you that opportunity to do that. And I guess going back to how you just introduced that question there, the type of approach which I’m very comfortable with myself, and a lot of our customers we see them doing it, is really a high … approach to their betting. You know you take a component of your stake for the race, and you bet that at the best win price you can get. You might be able to place some bets this evening for a few days hence, and you take the opportunity to get the value, because of course it’s always about the value. However you can then hold off, and actually see how the market changes from when you placed your win bet. And use a product such as RewardBet, to actually add in those 1 or 2 selections that you bet for a win, and then potentially add in 2, 3, or 4 market movers. Or there might be some bias type of selections, which are better suited than what you expected when you first placed your other bets. 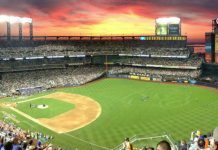 And it’s really the whole package of betting now, to take advantage of all the knowledge out there, and actually to execute that betting transaction in one simple step through something like RewardBet. Where you can get all your win quinellas, exactas, and trifectas on, and mind you’re not just placed through like a box type bet, which everybody’s used to. But actually every single combination placed the exact cent and to the actual price that it should be, based on the prices of your runners prevailing the market. Which really does give that opportunity to really expand the way people are betting these days. And it doesn’t just expand their opportunity, it actually means that they’re going to win more as well, and they’re going to be ahead of the curve. So I think that it’s a really important area for people to actually, not just turn a blind eye to exotic betting, and actually embrace it as another opportunity, another leveraged ability for them to make more money out of any particular race. David: Because you mentioned box trifectas and the like. That’s probably the way a lot of people still go, I mean if they like 4 or 5, 6 horses in a race, they’ll box them up in a trifecta. Do you want to just explain why that isn’t the optimal way of betting, and then where you think RewardBet comes in, as a more efficient solution. Greg: Yeah certainly. Look everybody knows that taking 2, 3, 4 runners in a box trifecta, even just say like a standout quinella, or exacta mind you. And we also inherently know that when, and the example I love to use is, you have two of your horses fighting out a finish, and you’ve got them in the box trifecta for example. You always hope that the long shot gets up, because everybody knows that the only time you really get back a better than average dividend in a box trifecta or box exotic situation, is when the long shots gets up. And it’s very illogical. I mean on one hand you’re hoping that the least likely option happens, which is the long shot getting up, because you know you’re going to get a better return. But in your heart you know that the most likely option is for the favourites to come closer to the favourite end of the market, for those horses to get up. So in a way it messes with you a little bit, because if you determine a favourite way to bet, but you’re actually hoping for the opposite. So that’s a practical issue, and it’s really only because there’s no other alternative out there. Of course professional punters have been betting all the different combinations based on their particular prices. So you have essentially more money on the favourite combination, and you have less money on the less likely combination, and professionals have been doing that for a long time. It’s really just a lack of opportunity, I guess a retail customer or somebody using the corporate websites up until now hasn’t had. And at the end of the day what that’s meant is, that the professionals have been exploiting those inefficiencies which are in the market, because the long shots are being over bet. And it’s the classic favourite versus long shot bias, which we see in the win markets, and also prevails in the exotic markets. So the other side of that equation really is, it’s very easy to gage and control your staking, and your level of confidence, and your general betting psychology, when you actually have a fair idea of how much you’re outlaying, and how much you’re going to get back. And everybody has that idea when it comes to win betting, but they don’t have it when it comes to exotics. Because you don’t know, you don’t know what the trifecta is going to pay, you’re hoping that the outsider gets up in your box trifecta, all those sorts of things. So what we’ve done at RewardBet is actually addressed that, we actually give you, and this is the only product on the market place that does it, we give you estimates. 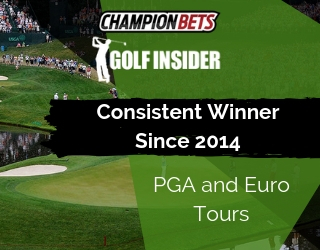 And they’re very accurate estimates, on the likely return for all your exotic bets, as well as your win bets, mind you which are fairly simple to do of course. But having an estimated return then allows you to bet to confidence in what you’re going to do with your actual selections. So if you have 3 or 4 selections, and you’re betting $10 dollars and your estimated return is $5000, you really don’t expect to get that up, it’s a very very long shot situation. So in that kind of case RewardBet would be saying to you, hey why don’t you add in your favourite, add in another horse, because there’s a very unlikely trifecta, or very unlikely winning combination you’re going to get up. We also try and caution people from what we call over betting. So when you’re betting win bets, it’s very simple to know how much you’re betting. You’re betting on a couple of favourite runners, for example you might be throwing in a longer shot each way. And most people are fairly in control of their outlays in that regard. But when you’re betting exotics, and you’re betting 4, 5, 6 runners, you don’t have any real idea of how much of the market you’ve taken. You can easily take 3 or 4 runners in the top of the market, in the top 4, and all of a sudden you’re betting 80% of the market. And 80% of the market is taking long odds on with your exotic bet, and then you’re wondering why your outlay of $50 is only given you back $80, it’s because you essentially over bet the market. So what we also do in RewardBet is we have an exclusive feature called the market gage. And it’s essentially a traffic light, so as you add more runners into your bet, it comes up with a colour green, amber, and red, and green is good and red is bad essentially. And we’re basically telling you that, hey pull back a bit, you’ve potentially got too many runners, or maybe make 1 or 2 of those runners back into the thirds for example. And that as a mixture with the estimated returns, the market gage, and just the ability for you to change your stake according to your estimated return, really just becomes the kind of complete package of how you want to bet. It’s certainly a step away from what a lot of customers are used to in the market place up until now. David: So Greg you’ve given us some pointers there about some of the better ways of using RewardBet, and how people can get the most out of it. What else would you sat to someone checking out RewardBet for the first time? Greg: Well it’s a really good question. We’ve had a lot of new customers come on board, and I have to say I’m probably one of the most expert users of the product of course. And in that regard what I actually did last Sunday, and for illustrated purposes really, and I’m going to email this out to our customer base this week in fact. But you can actually read about it now on our blog, on our promo RewardBet.com site. And what it is, is I sat down for a couple of hours last Sunday afternoon, and I essentially wanted to bet for a few hours across a lot of different races, and illustrate how easy RewardBet is to use. But not really from the point of view of a user interface, more about the point of view of how to make the most of different markets. And in that regard, you know I was just using Don … I had no form, I was pretty much betting every couple of minutes. And what I did was I just clicked on the runners which had a bit of market support, if I sometimes recognised a jockey or something like that I might also have added those runners in. But the point of the exercise was really just to illustrate how the market gage can really help determine the outcome in RewardBet, and I guess that would be the part of the product which I make sure any new user becomes accustomed to. So essentially what would happen is, I would choose 1, 2, 3, 4 runners in a race, and as I was clicking those extra runners, I’d be looking at the market gage and taking heed of the colourance. And personally I like to stop around about the 40 to 50% of a market, which kind of gives you a good chance of getting a nice neat return, you probably only need one RewardBet picked up every 4 races to make a nice profit for the day. And anything else, any more than that is a lot of extra profit. So when you’ve got a lower percentage of a market, you know 20 to 25%, effectively you’ve got quite a few long shots in your selection. And that means that you really want to take reward levels which are the easier ones to pick up, which are your bronze, silvers, and gold’s. Those 3 reward levels have most of your stake goes into win bets, and of course we all know win bets are a lot easier to get than a quinella, exacta, or a trifecta even. However as you move forward, and you might have more of the market, there might be a long odds shot which you really like, and you might choose to have other horses to potentially run 2nd and 3rd. There your market gage might be up around even 50 60, 70, 80% and they’re the occasions where you really want to be concentrating on you know like the diamond, and the platinum reward bets. They contain essentially no win component, and most of your stake is essentially going on at least getting the first 2 runners across the line. And you know that is essentially the biggest advantage, I think that people can take from RewardBet is looking at the amount of runners you’ve got, and trying to almost marry up the risk versus return. And then because we give the estimates of what you’re going to get back, you could even say, well I’m not really happy with only getting $100 dollars back, I think this horse is a really sure thing, you know and these other ones are bound to come 2nd. And then you can just increase your stake even and all the estimates will recalculate, and you can actually target a certain payout which I know a lot of people do. So essentially that would be my major thing which I’d recommend everybody becomes comfortable with, RewardBet becomes quite simple after that. and that’s the main area where you’re going to make a lot of better decisions I’d have to say. The fact that all the staking and all the betting to the exact cent and putting all your bets on really quickly, is all happens in the background, and now that’s just a great part of a product. Really the thing that you should be concentrating on is looking at the market gage, and trying to marry up that market gage with your estimated returns. And you know potentially if there’s extra components such as using ratings, I mean you can use … RewardBets, or use your own ratings, and things like that, and that’s kind of an extra step. But I think really that most people would just be best advised just to start off, and use the standard bookies prices, and bet in that regard I guess. The 3 questions there Dave that I guess to summarise, what I really just want to get across to you is that, punters have to really move with the times these days, and simple win betting is not sustainable for most people. The models and economics of the bookmaking market, even if you’re a small loser, they might even start to chop you off because you are not a cost, or an economical customer. So exploiting exotics and betting smarter are the things that you know products such as RewardBet offers in an instant. And you know that sort of thing does allow you to win more, mathematically that is the case across all our customers, and it’s really as simple as that you know. Just utilise a free tool, there’s lots of great tools out there, RewardBet’s another one, it’s free. Take the opportunity that it gives you, and at the end of the day it’s going to give you the best chance to stay in the game longer, enjoy your racing. And you know even if you come out as a winner then that’s a bonus for a lot of people. David: Good to hear. Alright well as I said it is a free product so it’s well worth checking out, it should be something in it for you whether you’re a smaller punter, or a larger one. Depending on how you want to structure it, there’s plenty of opportunities there to bet a bit smarter in the way you do the exotics. 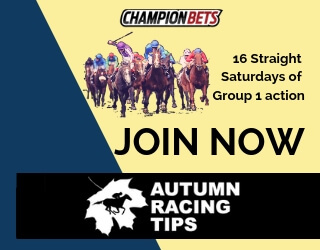 So thanks for explaining that for us today Greg, as I mentioned people can check out a longer form, I suppose presentation and Q&A in the webinar, but otherwise all the best for the big spring. Greg: Excellent, thanks a lot David.